NL: Nintendo and Dark Horse's collaboration is a relatively new partnership. It seems to have been an extremely successful one. Can you give us the insider story of how it all got started? PT: A lot of it had to do with timing. I’ve been a huge Nintendo fan for my entire life and noticed that they were not doing much in the way of published materials. We had just recently had some success with video game related comics with Mass Effect, and, more importantly, art books. Samantha Robertson, a former Dark Horse editor who now works in Nintendo’s Treehouse division, had created an art book for the Art of Avatar: The Last Airbender. It was this big, beautiful 9 x 12 coffee table book of really high quality that would become the template for our whole art book line. 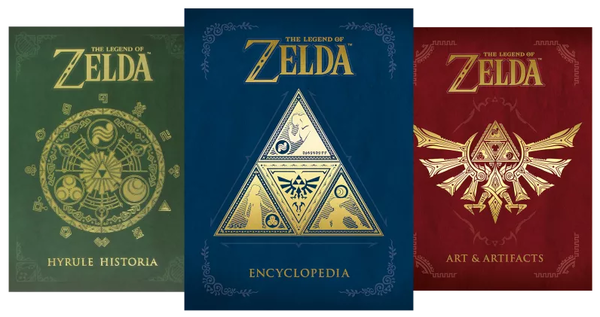 NL: How many copies of Hyrule Historia have been sold? PT: I don’t know the exact number of how many copies Hyrule Historia has sold to date, but I believe it’s around 900,000 copies at this point. NL: Finally, so far Dark Horse has published Zelda, Fire Emblem, Splatoon, and an upcoming Mario hardcover book. What can we expect in the future, and it's a special edition Metroid book, isn't it? PT: Ha! I believe that I’m on the record somewhere stating that developing Metroid books would be the ultimate dream project for me, so I appreciate your enthusiasm on that front. As far as what is currently being developed? You can certainly expect more from the Dark Horse/Nintendo partnership. As for what? I guess we’ll just have to wait and see. I have all three editions plus limited editions. They are great books and can&apos;t wait for the Super Mario book to come out. I really need to get these books.